The 2 day combined Dermal Filler & Anti Wrinkle Injection Training course is our most popular option for new practitioners getting started in aesthetics. It is our Foundation course and Advanced course booked in together – saving you 10% on the usual booking price! 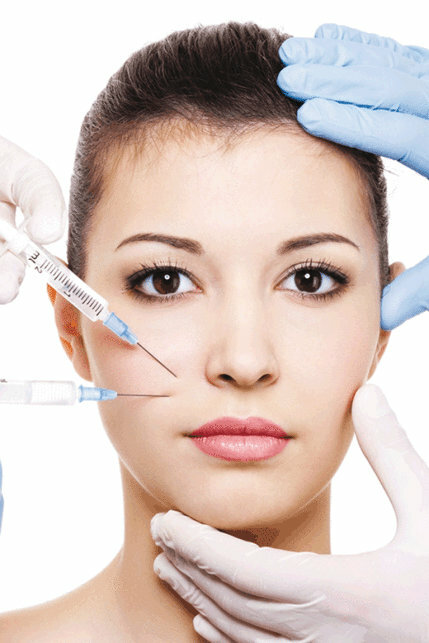 Over the course of the 2 days you will learn all 18 common Dermal Filler & Anti Wrinkle Injection procedures and get to practice the treatments on over 30 live cosmetic models. After this course you will be able to get indemnity insurance and start treating paying clients straight away. ✓ You will learn all 18 Procedures: Includes 12 common Anti Wrinkle treatments and 6 common Dermal Filler treatments offered in most cosmetic clinics. ✓ You can offer your clients a wider portfolio of treatments: Many patients are now becoming more informed about advanced treatments and requesting combination treatments taught across our Foundation and Advanced syllabus. ✓ You are far more employable if you want to work in a clinic: Many practitioners only complete foundation training, giving you the adge as an advanced practitioner. Clinics usually offer all 18 treatments so its important you have the training to match this. ✓ Plenty of practical experience on live Cosmetic Models: All our courses include 50% practical work on live models with over 30 cosmetic models on each combined training weekend. ✓ CPD Accredited: You will earn 16 CPD points for completing the Combined Course with Derma Medical.